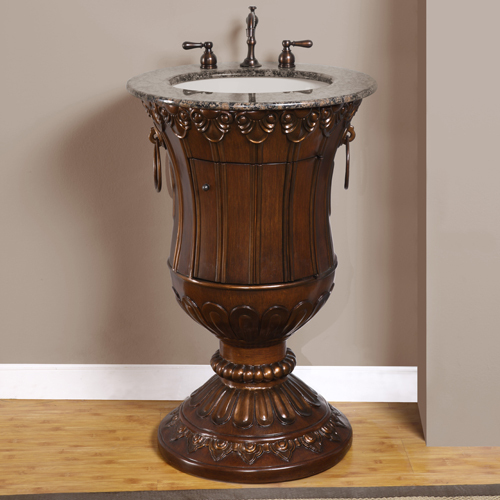 Sophisticated and Traditional style pedestal vanity with magnificent gilding is just stunning. Two towel rings and one-door with a solid Baltic Brown stone Top and oval ivory Ceramic undermount bowl. 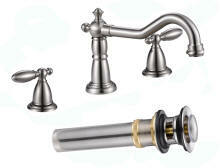 Has a big cutout back for easy access to plumbing installation. 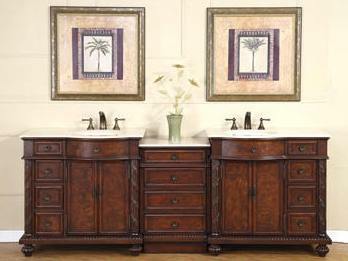 Great space saver bathroom furniture for powder room or small bathroom space applications. 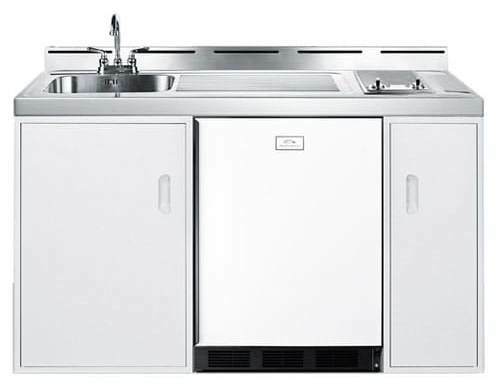 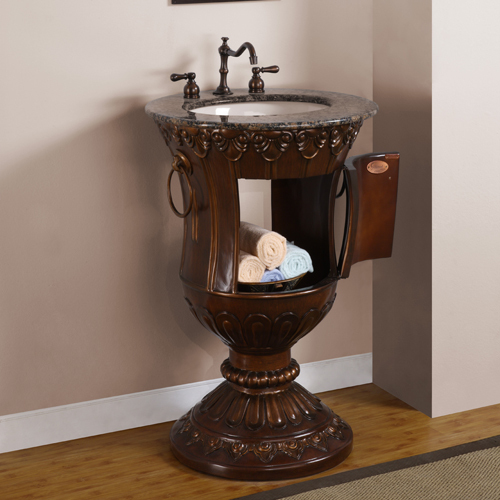 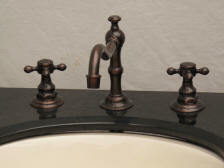 Unlike most pedestal sinks, this sink vanity has a center door to allow for storage space, see second photo below. 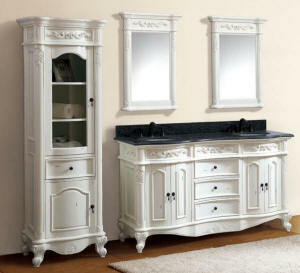 Overall Dimensions W=23" D=23" H=36"
is a great Space Saver Vanity with Bathroom Storage Compartment, see photo above. 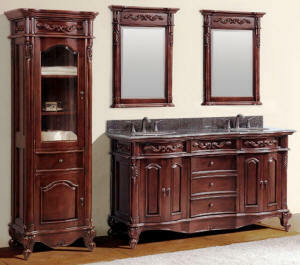 This vanity ships with a solid Baltic Brown Granite top. Under mount Sink Bowl is included. 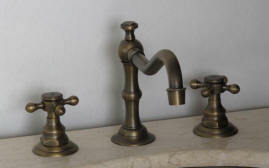 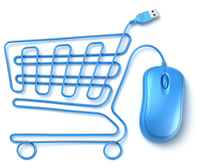 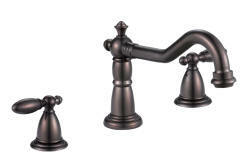 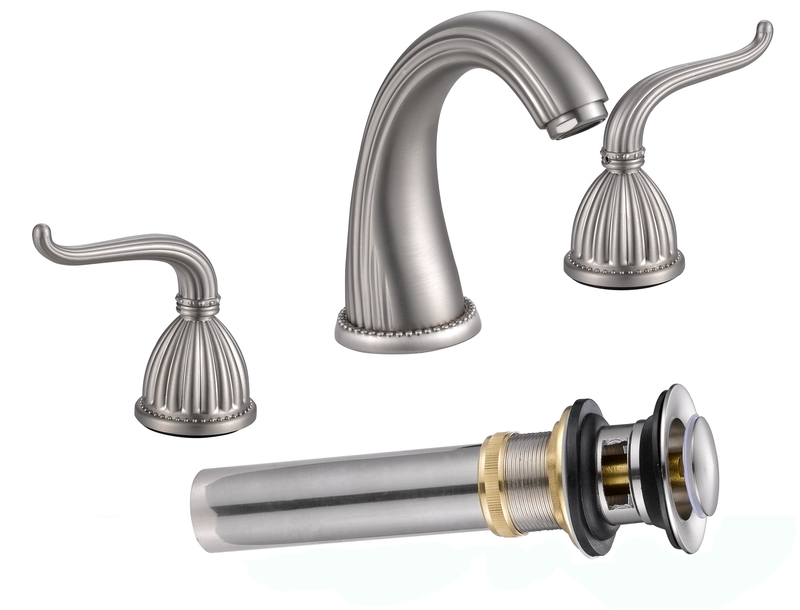 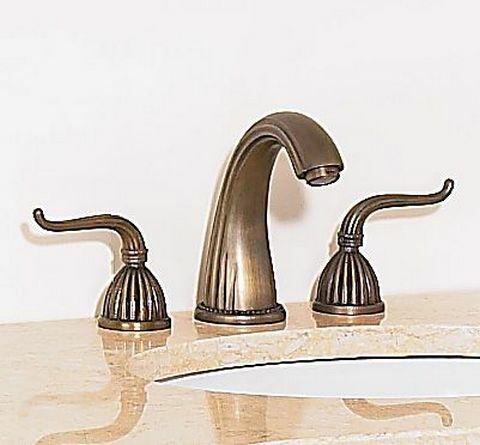 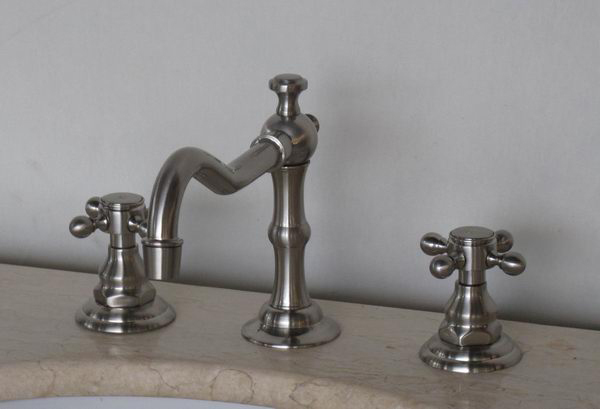 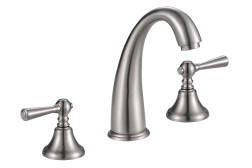 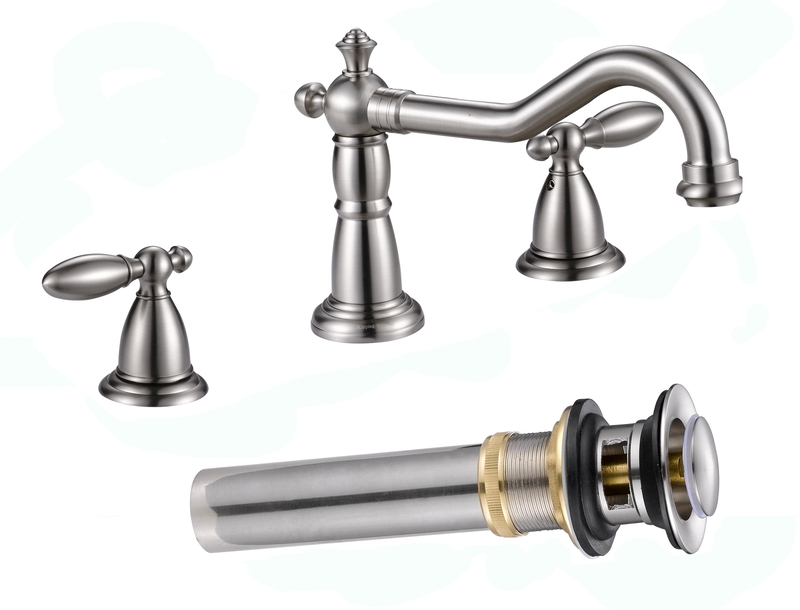 3 - hole, 8 inch widespread Faucet sold separately, add $229 for faucet (See faucet selections below).